The Abreu Fellows are here–the entire year has been building towards this! We are in Venezuela for 5 weeks to study and live El Sistema. This trip is the highlight of pretty amazing year. We will travel together for 4 weeks throughout the country after a full week in Caracas. 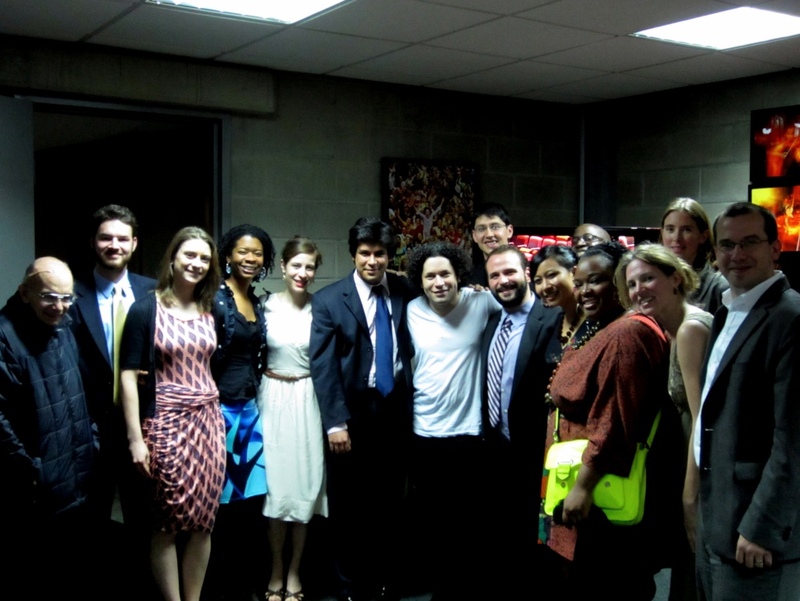 Tonight, after hearing the Simon Bolivar Orchestra’s Beethoven performance, the Fellows were whisked backstage to greet Gustavo Dudamel and Dr. Antonio Abreu (a rumored Nobel Peace Prize nominee and visionary founder of El Sistema). He wished us well on our journey through the country. We will meet again formally to discuss our findings when we return to Caracas in a month. 5..4..3..2.1…We are off!